5447 Persea americana - Avocado Anise, Grafted ? This avocado has strongly scented leaves that smell like Anise. Very rare variety. Fruit is of excellent quality, creamy and buttery. 5186 Persea americana - Avocado Bacon, Grafted ? Avocado Bacon. 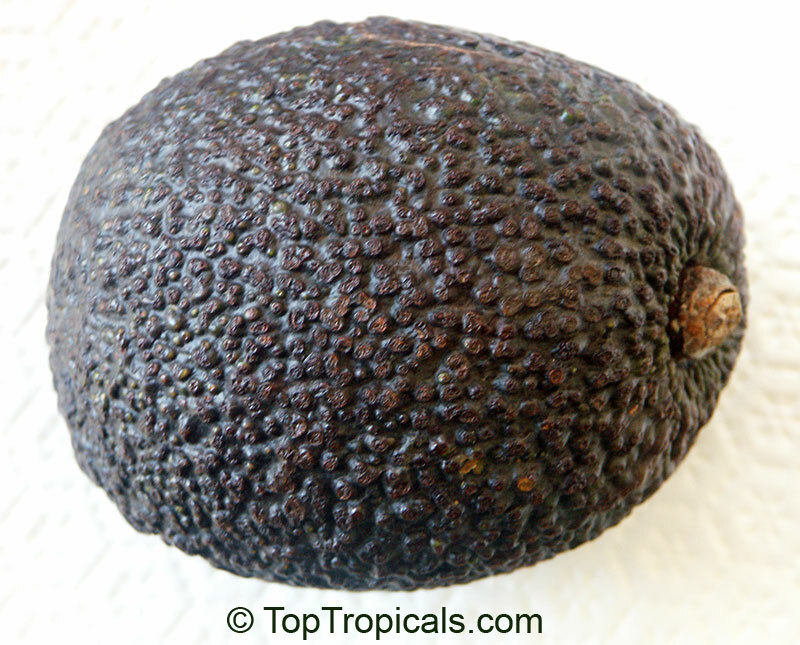 A large Mexican variety with dark-skinned medium sized fruits, and a rich creamy flavor. 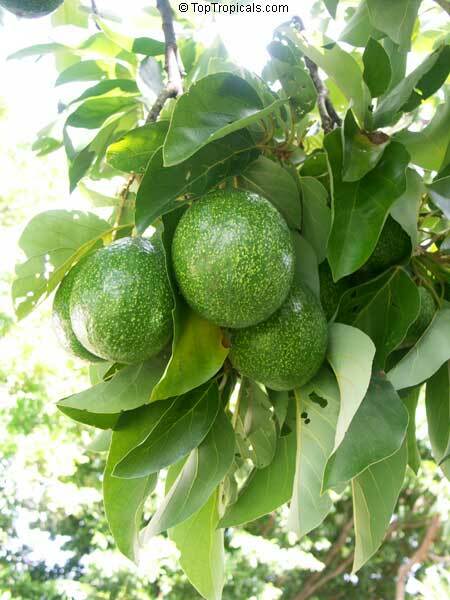 It is very cold hardy, late-producing variety of Avocado tree with exceptional fruit. Bacon Avocado is named after James Bacon, who developed it in 1954. It’s a highly productive Avocado tree with a lovely upright and spreading habit. Its dark green, glossy leaves lend an attractive, tropical appeal to the 15-20 feet of height, so you won’t want to miss having one of these in your yard. The outstanding feature of the Bacon Avocado is its fruit. The oval fruits ripen in late fall and into spring. 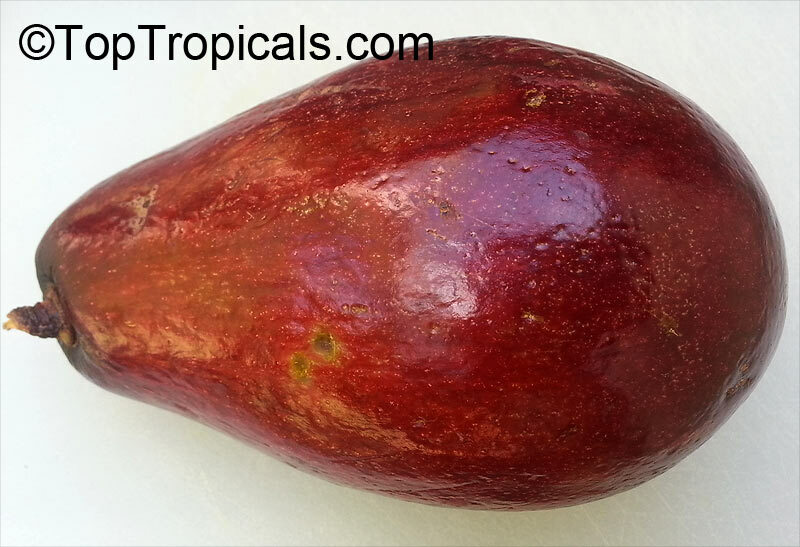 The fruits are easy to peel and have a light, subtle flavor that compliments almost any dish. 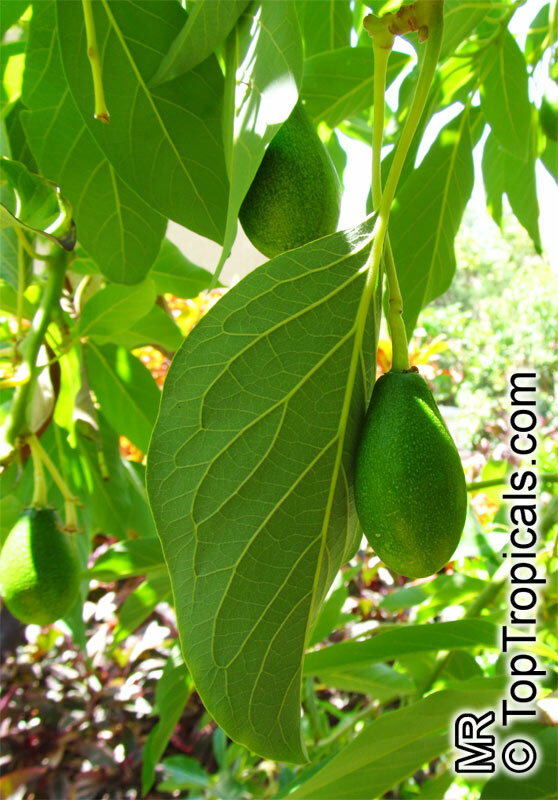 Another outstanding feature of the Bacon avocado tree is its angelic sweeping branches which helps keep the tree shorter and easier to pick its fruit. 5952 Persea americana - Avocado Bernecker, Grafted ? Bernecker is West Indian variety. 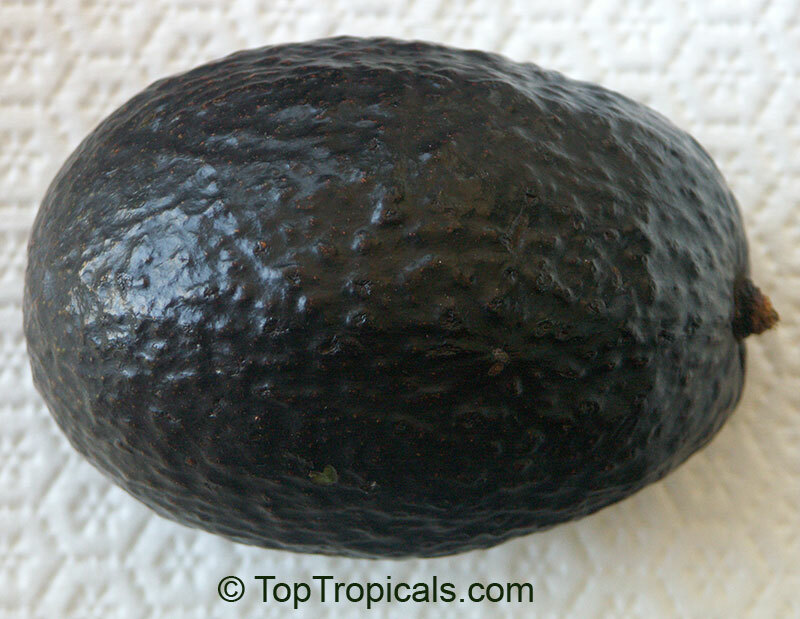 Fruit is ellipsoid-spheroid; medium to large size, 14-22 oz, skin light green to green, smooth, flesh good to excellent quality; seed medium size, tight in cavity; harvested late July through August. 5953 Persea americana - Avocado Catalina, Grafted ? and cared for by keen eyed avocado lovers in Miami". So be sure to think about this story every time you eat a Catalina! 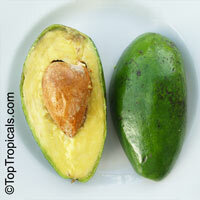 Catalina is a very nice mid-season pear shaped fruit that is especially rich and creamy. It is extremely popular variety in South Florida in the Cuban Community. 3763 Persea americana - Avocado Choquette, Grafted ? 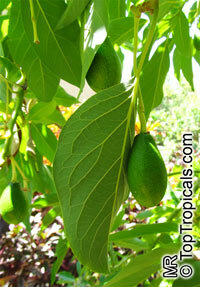 Choquette is a late season favorite Florida avocado producing very large fruits. 4499 Persea americana - Avocado Dandy, Grafted ? 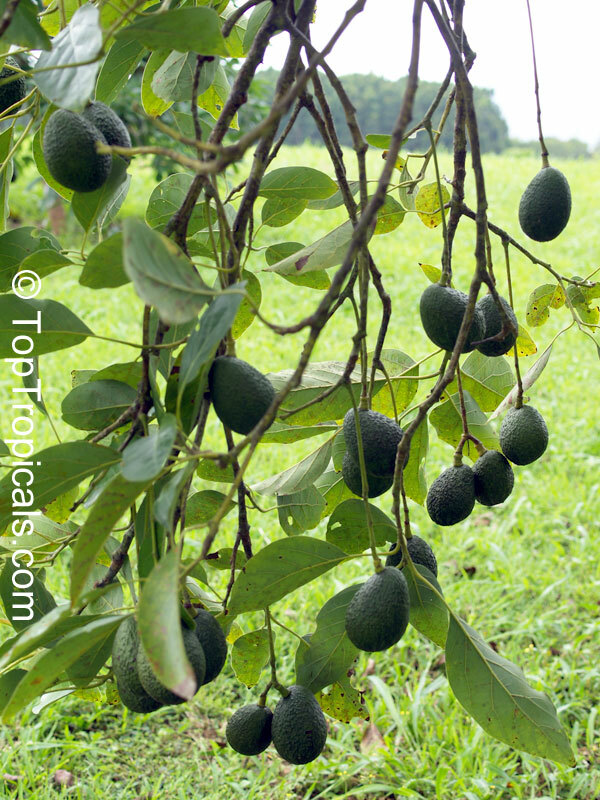 1170 Persea americana - Avocado Day, Grafted ? 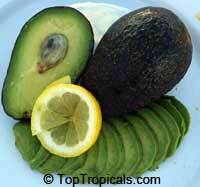 Day avocado is green, smooth skin and is shaped like a club. 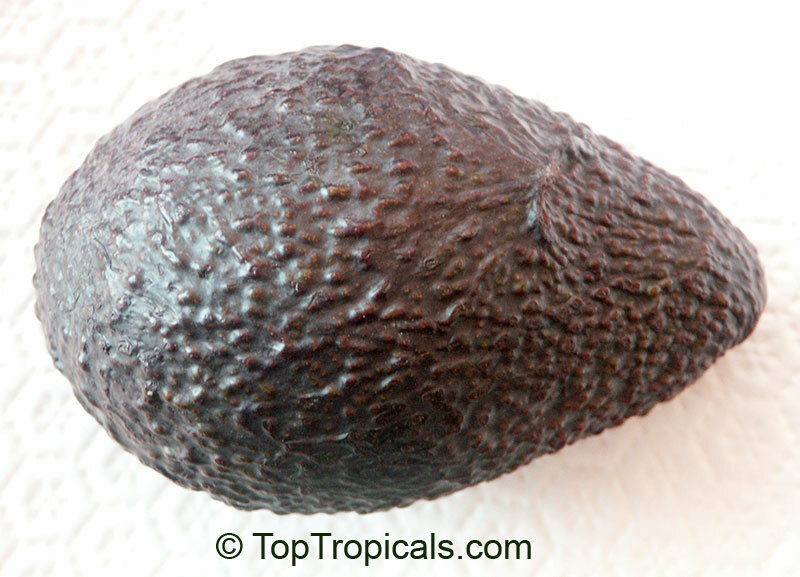 The fruit is of very good quality and has a nice buttery consistency. The slender tree is very cold tolerant and produces July through September. 5187 Persea americana - Avocado Doni, Grafted ? 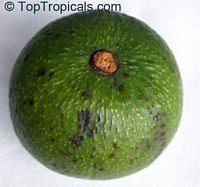 Avocado Doni. A large tree with with smooth green fruits of medium size. 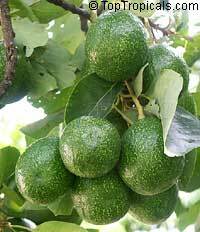 It is relatively cold hardy, with a fruiting season from May-June. 5805 Persea americana - Avocado Ettinger, Grafted ? The Ettinger avocado is a Type B avocado. 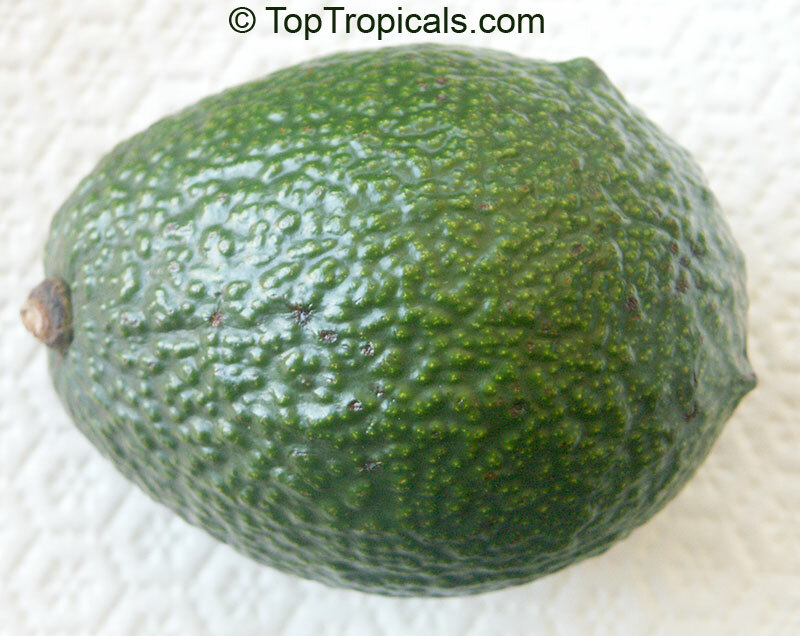 Ettinger avocados are similar to Fuerte avocados, pear-shaped with smooth, thin, bright green skin, which does not peel easily, and pale green flesh. 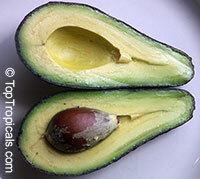 Ettinger avocados have a mild flavor. The Ettinger avocado tree is very vigorous, and as a heavy bearer of fruit it is often the most profitable variety of many orchards. The tree has an upright growing habit with little spreading. Mid-fall through early winter harvest time. 3918 Persea americana - Avocado Golden, Grafted ? Local Florida variety originated in Wauchula, which is very cold place, comparing to South Florida. This variety survived winters of 2009 and 2010 in Wauchula, when temperature dropped to low 20sF, without any significant damages. Very unusual medium size fruit - round yellow and smooth skin; creamy-yellow flesh. 3531 Persea americana - Avocado Hall, Grafted ? varieties. Fruiting size. HALL is a tasty pear shaped fruit, and the tree exhibits excellent tolerance to the cold. 5448 Persea americana - Avocado Hardee Red, Grafted ? Hardee Red was the most important commercial varieties years ago. It has a shape of Russel, with elongated neck, but the color is intense red. Very productive tree, large size fruit, creamy taste. Very similar to Hialiah Red, Lara variety. 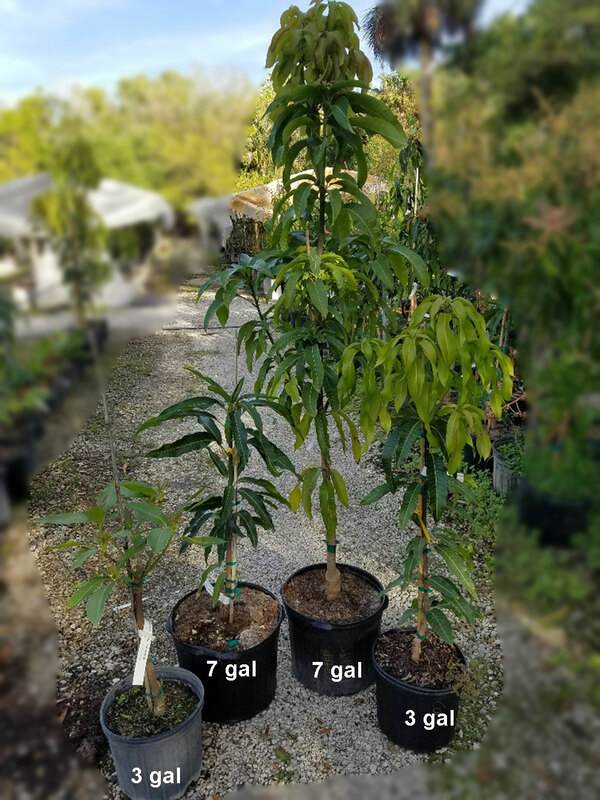 4281 Persea americana - Avocado Joey, 3 gal pot, Grafted ? Joey. Very cold hardy variety. Selected by Joey Ricers in Uvalde, Texas. 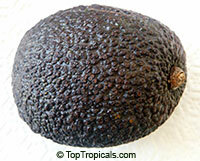 Produces medium size, egg shaped purple-black fruit. It has excellent flavor. Heavy bearer. Season: September-October. 5449 Persea americana - Avocado Kampong (Sushi Avocado), Grafted ? This is a late fruit that has been around for a while, since the 1900 Originated in what is now Kampong Botanical Garden in Coconot Grove, Miami, Florida. 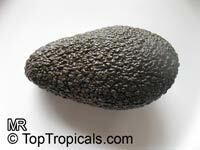 The flavor of this fruit very nice, oily, nutty, reminds of almonds. it is creamy, has no fibers. At the same time it has solid consistency and if you cut a square it remains a shape of the square. 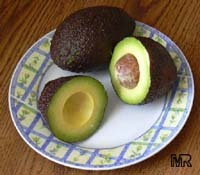 It is recommended by Lara as the best Sushi Avocado! It taste great as appetizer when cut in squares with some shrimp cocktail sauce. 4197 Persea americana - Avocado Lula, Grafted ? Variety Lula is renowned for its ability to endure harsh winters, and for its exceptionally long harvesting period. More frost resistant than most, successful in Central and South Florida where it is a formerly the leading commercial cultivar. An exceptional choice for homeowners in and around Orlando. Fruit is pear-shaped, sometimes with a neck, medium-large. Skin almost smooth. Flesh pale to greenish-yellow. Oil content 12-16%. Seed large, tight. Season medium-late (November-December). Tree is tall, bears early and heavily. Originated from seed from parent tree planted 1915 by Mrs. Lula Cellon at Miami, Florida. 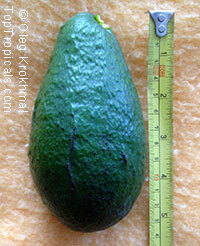 4721 Persea americana - Avocado Lula, Large size, Grafted ? 4702 Persea americana - Avocado Marcus Pumpkin, Grafted ? Very rare and hard to find variety! 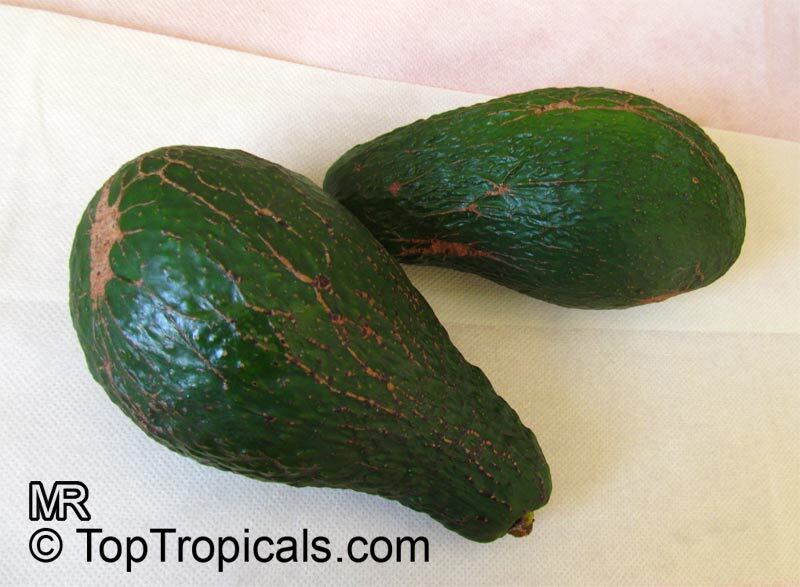 Marcus Pumpkin Avocado - Green, Large, Round, Pumpkin shaped Fruit 30-40 oz, Fruit time October through November. Good Cream flavor. It is so unique in its shape. It is hard to eat a whole one because of its size.